We can take a bit of a breather today compared to yesterday! Rewards Canada reader David alerted us to this disappointing change in the Petro-Points program. As of April 1st you'll no longer be able to redeem Petro-Points for Cathay Pacific Asia Miles! This comes just as we were working on an Ultimate Asia Miles Credit Card portfolio as the CIBC Petro-Points card is a decent Asia Miles earner. We haven't talked very much about this partnership on the site (we do list it on our Airlines you can earn miles with Canadian Credit Cards chart) but we are sad to see this option go. Also leaving the program on that day are the Canadian Cancer Society donations and Digital Media Rewards. Find out more here. ...a global collection of unique and independent stay experiences. 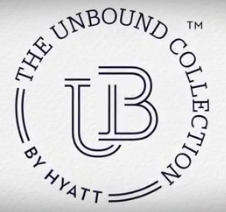 The Unbound Collection by Hyatt will include a portfolio of new and existing upper-upscale and luxury properties that will maintain a distinct character while providing guests and owners Hyatt’s award-winning customer loyalty program, robust operational and marketing resources and trusted, quality brand. KLM Wild on Wednesday is back! 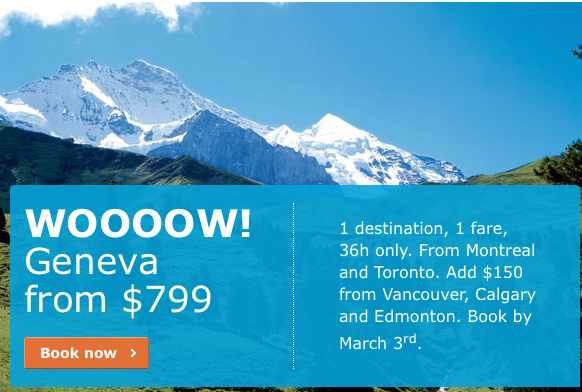 This week its Geneva for $799 all in from the East or $949 from the West. Book by Mar 3 for travel until May 6 or Oct 16 - Dec 10! Find out more here. - Earn up to 5,000 Bonus ConnectMiles when you join the ConnectMiles program and complete your first flight. More... Until ?